Network Element Managers (NEM), Element Management Systems (EMS) and Network Management Systems (NMS) all fulfil a critical role in the running of communications networks. Each belongs to the category of OSS system known as Network Engineering. A communications network contains devices. It is the configuration of these devices that enables the network to carry traffic and services efficiently from one place to another. It is therefore the role of Network Engineering applications to enable connections to devices to facilitate the tasks of monitoring and configuration while, as much as possible, simplifying these highly technical tasks. The NEM provides remote connectivity to network devices (or ‘elements’) offering essential configuration and monitoring tools. While for many devices it may be possible to use a command line to connect and perform these tasks (for example using TELNET) the NEM makes the process quicker and more consistent by maintaining lists of available devices, automatically checking devices’ state, maintaining the user’s security credential, formatting the output in a graphical user interface, and so on. An NEM is concerned with the individual device and its current state. Managing the co-ordinated configuration of multiple devices, for example to route a service across the network, is usually done by ‘higher-level’ OSS systems such as a Network Management System or Fulfilment application. An NEM may also be referred to as an Element Management Systems (EMS). While an NEM is concerned with individual devices a Network Management Systems (NMS) is concerned with the network as a whole (or, at least, one large area of the network). 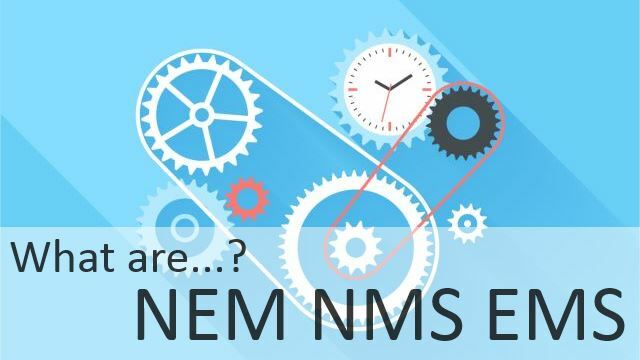 An NMS will typically provide access to all the functionality of an NEM, either directly connecting to devices itself or by interfacing to the NEM. Where the NMS improves on the NEM is in providing a more complete view of how devices work together to carry traffic and services across the network. The NMS can display configured service routes and simplifies the process of configuring new routes across multiple devices. An NMS simplifies the task of introducing new devices which will often require ‘neighboring’ devices to be reconfigured. Many NMS incorporate Configuration Management and Security Management capabilities in a single application. 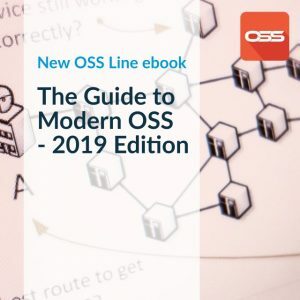 Learn more about Network Engineering and other OSS Applications, download OSS Line’s Guide to Modern OSS.